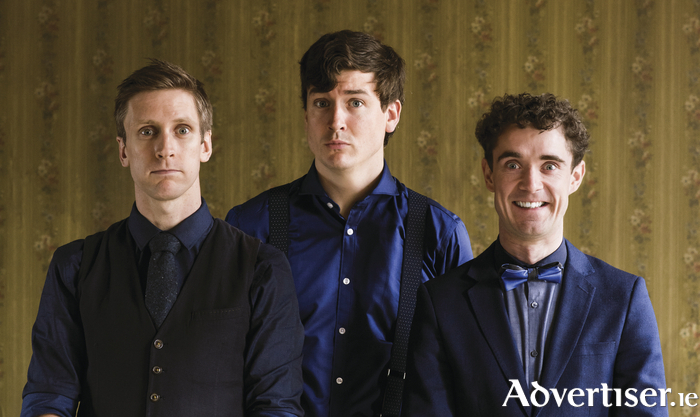 FOIL ARMS & Hog, Ardal O’Hanlon, Rich Hall, Francesca Martinez, Faulty Towers The Dining Experience have been added to the already impressive bill of acts coming west to play the Vodafone Comedy Carnival Galway 2017 from Tuesday October 24 to Monday 30. Arguably Ireland’s favourite sketch group, Foil Arms & Hog, who sold out the Town Hall and Black Box back in spring, return to Galway with their new show Oink. With more than 50 million YouTube hits, these three jokers are rocketing to success. Don’t miss this chance to see them live. The Perrier award-winning Montana comedian Rich Hall saddles up and hitches his Hoedown-wagon to visit Galway once again. Join Rich for a mash-up of music, comedy and gratuitous coloration featuring the very best of comedy and music. The floor will reek of liquor and spent dreams. Another huge talent visiting Galway in October is Francesca Martinez. Born with cerebral palsy (although she prefers the term ‘wobbly’ ), Francesca faced a long struggle for acceptance – but now the world is laughing with her. This multi-talented comic starred in Grange Hill as a teenager and has hardly left the spotlight since. She has been on Extras, Live at the Apollo, Russell Howard’s Good News, and recently supported Frankie Boyle on tour. Making a welcome return and needing no introduction to the west is Ardal O’Hanlon in a show entitled, The Showing-off Must Go On!. This is a work (jokes ) in progress about the conflict between growing up in a community where 'showing-off' was considered to be a serious crime and the compulsion, nay, the need, to still do stand-up after 30 years on the road. And finally, there is the Faulty Towers The Dining Experience. Basil, Sybil and Manuel return to serve up more madcap mayhem, a three course dinner and a feast of comic delights, some familiar, some off the cuff but all with a guarantee to keep you laughing all the way to dessert. Basil is manic, Sybil domineering, and Manuel – of course – is hopelessly language-challenged. Everything that can wrong does in some beautifully controlled chaos. Just don’t mention the war!